Yingying Zhang, who disappeared in the U.S. on June 9, is believed dead, yet her body has not been found. 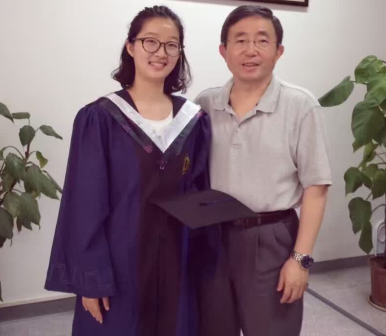 Yingying Zhang, a Chinese female graduate student who disappeared in broad daylight in Illinois on June 9, is believed dead by the FBI, but her body has yet to be found. The case has been widely reported by both Chinese and American media. On August 19, after more than two months, her whole family — dad, mom, brother, aunt and boyfriend — arrived in the U.S. and appealed to the public, the U.S. President in particular, for help. Pleading not guilty, Christensen’s trial is scheduled to begin next month but nis attorney told CBS that he intends to ask for a delay in order to go through all the evidence. The legal process could take months or even years. With each passing-by day, the chances of finding Yingying alive decrease. We fervently request that you direct all available federal law enforcement and investigatory resources be used to find our daughter as soon as possible. Zhang’s family says they will stay in the U.S. until Zhang is found. “Fallen leaves returns to its roots. We need to find her and take her home,” said Zhang’s boyfriend. It is a Chinese tradition to be buried in one’s hometown. The University of Illinois has launched a ribbon campaign to support the Zhang family and raise awareness about the search for Yingying. Up to $50,000 will be awarded to people who provide information leading to the location of Yingying. Chinese media blame U.S. democratic system for its incompetence after a Chinese student is abducted. Again, China Doesn’t Want War With the USWhile in Hong Kong, Steve Bannon Changes His Tone on ChinaWhy Will China Be Happy to See Steve Bannon Leave the White House?Trump: The True New MaoistHow Will President Trump Deal With China?